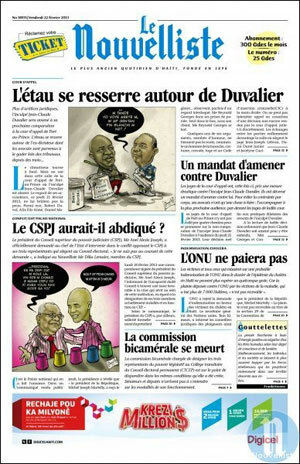 Founded in 1898, Le Nouvelliste is Haiti's oldest and largest daily. Its name is known by all Haitians. It is considered an experienced, reliable and helpful information source. That's how it has lasted so long in a country with an extended past of political instability. Jean Max Chauvet has a B.S. in finance and marketing from Bentley University and a masters in science from the Massachusetts Institute of Technology and a masters in marketing from American University. He is a member of l’Association Touristique d’Haiti(ATH) and la Chambre de Commerce et de l'Industrie de l’ouest. General manager and country director, Haiti Broilers S.A.
A joint venture of Jamaican and Haitian business partners. The Jamaica Broilers Group Ltd.is a fifty-three-year-old agro-processing company with operations in livestock, poultry, fish, prepared meats and convenience foods, animal feeds and an ethanol processing plant. Since March 3, 2012, Haiti Broilers has been hatching chicks and producing feeds from its facilities at Lafiteau, just north of Port-au-Prince. The hatchery can produce one hundred thousand chicks a week. The feed mill can produce over ninety tons of feed a day and is able to manufacture an array of poultry and other animal feeds. 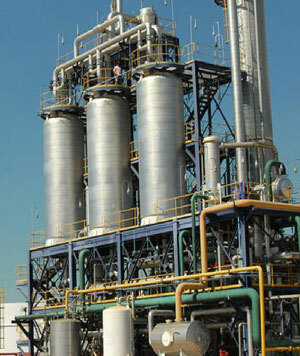 Currently, most of the inputs for our operations are sourced from the Unted States. These include fertile eggs, corn, soya, vaccines and a variety of micro ingredients. The HB/Hi-Pro brand of products (chicks and feeds) are being distributed by a network of over one hundred distributors spread from Cap-Haìtien to Jérémie to Les Cayes. HB maintains an inventory of poultry-related equipment and supplies, feed supplements and medications at its Lafiteau site. These Hi-Pro products have been warmly received and are helping farmers make their businesses profitable and sustainable. Dave Fairman has a B.S. in mathematics and computer science from the University of the West Indies and an M.S. in computer science from the University of Waterloo in Canada. He is a consultant on public policy and politics in Haiti. He has advised a number of Haitian and American businesses. Since 1993, he has led over thirty delegations of business leaders from Haiti on fact-finding visits to Washington. He has played a key role in both promoting the HOPE textile initiative and in bringing a large Korean textile manufacturer to Caracol, Haiti to make it a reality. From 2002 to 2004, he consulted with l’Association des Industries d'Haìti in drafting and promoting in Washington the HERO trade bill, which together with the follow-on HOPE legislation transformed the then-dormant garment sector into a leading engine of job creation. Since then has consulted for the CTMO-HOPE commission, a tripartite government-business-labor group. He is a graduate of the Georgetown University School of Foreign Service and has a masters in public administration from the Kennedy School of Government at Harvard University,. He is a founding member of le Centre pour la Libre Entreprise et la Democratie (CLED) and presently serves as its secretary-general.